Any ideas for me ? 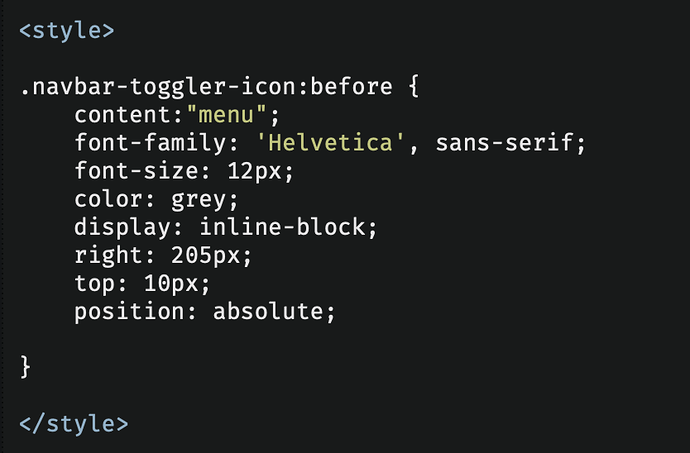 Blocs 3 is based on Bootstrap 4 and as a consequence the hamburger icon is now a svg file. If you want to change the size or/and color of the hamburger then you need to modify the svg data. There exists already a number of posts in the forum that provide the necessary information regarding the svg and how to modify it. You will need to change the view box specifics. @MDS I’ve been playing around with your examples of adding the word menu and toggle color. I did look through the hamburg code and was wondering how/where I could get the info on changing the svg hamburg icon. My version seems like a two column hamburg would look good. I am not sure what you mean by a two column hamburger would look good. Can you clarify ? Do you want it to be smaller ? No I can change the size but your code uses a standard 3 line icon. Is there a way to use a 2 line icon or configure a different one? then the text don’t stay at the hamburger menu …is there a way to"fix" it to the menu ??! Would you have some screenshots or a file I could look at to better understand what you’re trying to achieve and perhaps assist you? 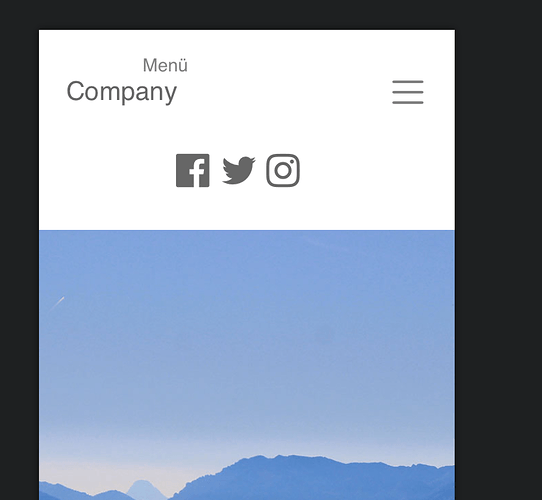 While I understand you want “Menu” to remain above the social icons, should the social icons on mobile remain below as shown ? Can you send me your example file so I can modify it ? If you want the menu to appear as hamburg (mobile) on all views you can set the mobile toggle to the desktop icon. Maybe I’m not understanding your wishes. 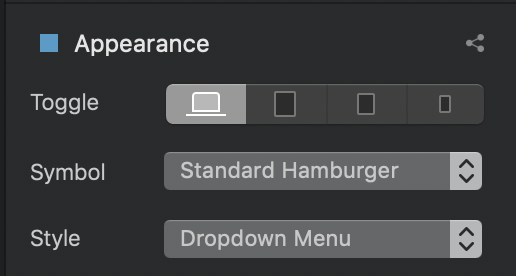 This will keep the hamburg menu on all devices.